Need a good reminder to inspect your roof? October 6-12, 2013 is Fire Prevention Week — an ideal time to carefully inspect your roof, especially if your home has a flammable wood shake roof overhead. This is why Rosewall recommends homeowners replace wood roofing materials with alternatives such as composite roofing tiles. 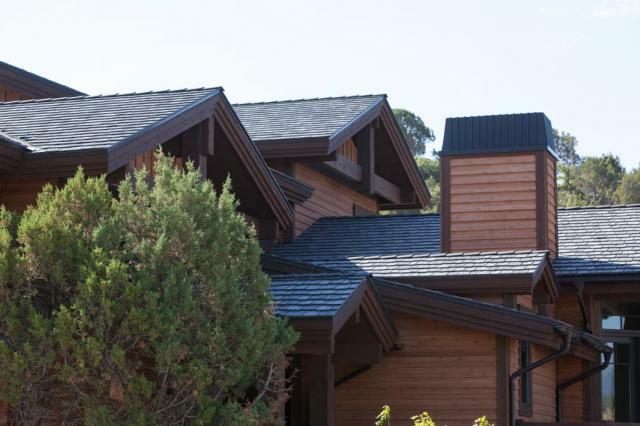 Made to resemble cedar roof shingles, fire-resistant Multi-Width Shake, Bellaforté Shake and Valoré Shake products from DaVinci are rated Class A for fire retardance and come with a 50-year limited warranty. “Flames simply don’t spread on our polymer shake roofs,” says Rosewall. In some areas of the country, such as in California, laws are being implemented that require homeowners to replace wood shake roofs with fire resistant roofing materials. The Roof Covering Ordinance that went into effect January 1, 2009, requires that all wood shake roofing within the San Bernardino County Fire Safety Zones be replaced by July 1, 2014. Homes and commercial properties have until that date to comply with the new law. Similar building codes, ordinances and requirements exist for the installation and replacement of wood shake and wood shake shingle roofs in other areas, including Los Angeles and Beverly Hills. And, in Boulder, Colo., wood shakes and wood shingles are prohibited from being installed. After January 1, 2014 it will be against the law in Boulder to repair major portions of wooden roofs rather than replace them with non-flammable roofing materials. DaVinci polymer-composite synthetic shake shingles offer all of the natural, rustic beauty of real cedar shingles – but without any of the natural drawbacks of real wood. State-of-the-art polymer chemistry is used to create an appearance of a natural cedar product in both hand-split and machine-sawn varieties. Each DaVinci composite roof shingle is lightweight, impervious to freeze/thaw cycles, impact resistant, maintenance free, color fade resistant, Class A fire rated (with specified underlayments), UL 2218 Class 4 impact rated, and wind resistant to 110 mph. 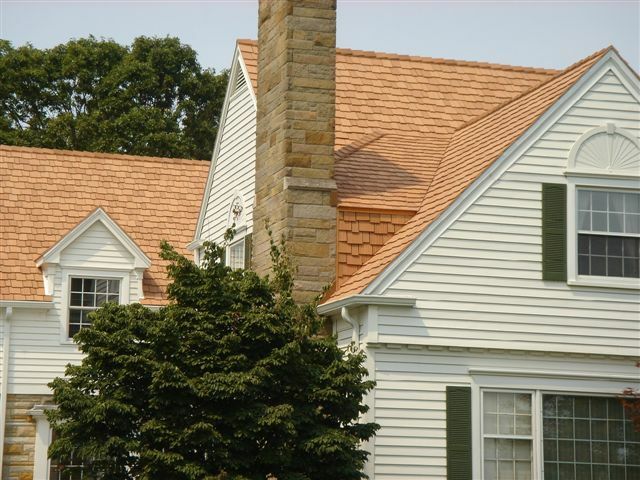 DaVinci shake roofing tiles feature both wavy and straight grains throughout the blend in the Multi-Width product line for an authentic appearance. Multiple widths on the tiles help create a natural, non-repeating look that can be laid in a straight or staggered pattern. All DaVinci shake tiles resist curling, cracking, fading, mold, algae, fungus and insects, making them ideal for installation in a wide variety of geographic areas. For more details on DaVinci shake products visit Composite Shake for Shingled Roofs.